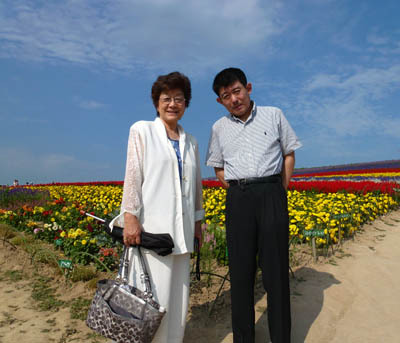 Yoko Akashi, BA Chemisty, Pharmacist, Award Winning Social Welfare Specialist, Chairman of Autistic Society of Kawasaki City, a member of the Council of Education for Special Needs and many other organizations. 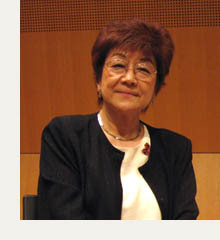 Hideko Matsumoto, Instructor for Yamaha Electric Piano / Member of Member of ‘jet’ Electric Piano Teaching Association of Japan. ‘It was such a privilege to listen to Noriko's beautiful playing at her London recital: all of us there enjoyed it immensely, and the very special setting made it particularly magical. Her wonderful idea - to give families of children with autism the chance to enjoy a break and a moment of calm and beauty in the midst of their sometimes very challenging lives - is inspiring, and you could see the effect it had on all those lucky enough to be there. 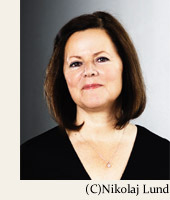 I do hope she is given the support she needs to continue this important and life-changing work’. I have known Noriko Ogawa for more than 25 years and we have developed a deep friendship and become very close. 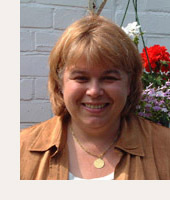 She has been very supportive of both myself and my children as they were growing up and through all the difficult early years of living with Jamie's autism, Noriko helped me to cope. 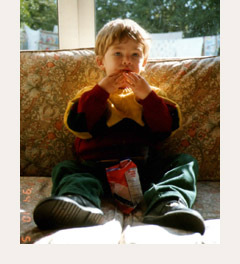 Jamie, my son is now 22 years old. He is a beautiful young man with a gentle, loving personality. But you don't always see this side of him because he is severely autistic. This makes him very frustrated at times. He does not speak and his severe learning difficulties mean he does not understand how to communicate. Often it is a guessing game to decide what he wants and needs! But where he is happy you have to smile with him, he lifts your spirits to see him cope with all his problems, and he is loved dearly by all his family, friends and carers. 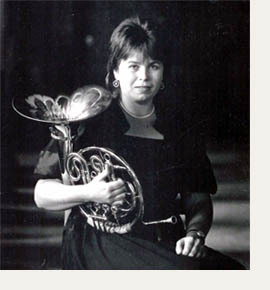 I know the benefits of listening to music; I was for 20 years a classical musician, a Horn player. Then I studied for a degree in biology and then undertook a Masters Degree in Neuropsychology. I am now working for my PhD in Neuropsychology. The psychological benefits of having time to relax and stimulate one's mind can make a real difference to the way you can give the best care to your autistic child and having a mother who is happy and at ease will be reflected in the way the child copes with all the difficulties they face in the world. ‘Having been involved with Nordoff-Robins Music Therapy and seen at close hand the amazing effect that music can have on children with special needs, it is wonderful to know that music is also playing a special part in the lives of their parents. Through her series Jamie遯ｶ蜀ｱ Concerts, Noriko Ogawa has discovered the value of music in their lives and the therapeutic powers for all the carers who devote so much of themselves to helping others’. It is crucial that the nature of autism is fully understood so that those with autism can be supported and enabled to live full and independent lives without the stigma and discrimination caused by ignorance. Jamie's Concerts have helped raise awareness of these crucial issues, as well as providing beautiful music which is healing in itself. We have enjoyed 12 concerts so far at Muza Kawasaki and met many new people there. We have been encouraged and delighted to see the numbers of parents of children with autism in the audience increase with each concert. As the parent of a child with autism I would like to express my gratitude for these concerts and for the renewed energy and optimism they give us all. It is my hope that these concerts continue for a very long time, and that more people are able to benefit from this wonderful and invaluable resource. a member of the Council of Education for Special Needs and many other organizations. Jamie's Concerts bestow the wonderful gift of beautiful music played by first class musicians. Performances in intimate venues allow the luxury of listening in supportive and relaxed surroundings and the concerts offer respite and healing. After each concert my positive energies are recharged, and the pleasure I take in living with my son who has autism is renewed. 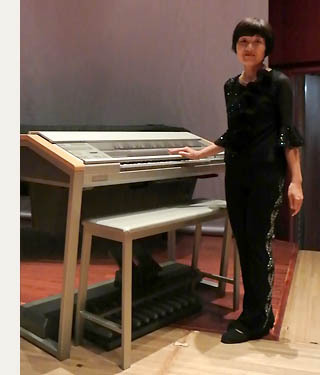 Member of ‘jet’ Electric Piano Teaching Association of Japan. Copyright © 2014 Jamie's Concerts. All rights reserved.